No. 4970 - Canadian National - Gordon, Wis.
A trio of General Electric locomotives hustle this train north to Canadian National's Pokegama Yard just southwest of Superior, Wisconsin. The history of this location is slightly complicated located here in Gordon, Wisconsin. Presently this is CN's Superior Subdivision which is part of the Wisconsin Division. The Wisconsin Division is mainly everything that once was the Wisconsin Central that CN purchased in 2001. This is now CN's mainline between the Twin Ports and Chicago that handles a lot of their Canadian traffic. At this moment, the front of this train is on ex- CNW trackage and the rear is on ex-Soo trackage. The ex-Soo rightaway ran north from Ladysmith to Gordon (where it crossed over the CNW) to Ambridge (halfway between Pokegama Yard and South Itasca, just south of Superior). The ex-CNW trackage ran north from Cameron through Gordon and into South Itasca. In 1985, the Soo Line bought the Milwaukee Road and sold off portions of its system in the state which formed the Wisconsin Central two years later. 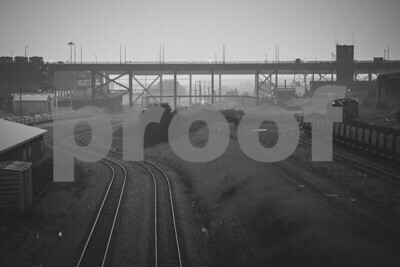 The WC gained access to the Twin Ports with trackage rights over the Soo Line from Ladysmith north. There was a non-compete clause that agreement that stated that the WC could not ship CN traffic south out of the Twin Ports. In 1992, the Wisconsin Central purchased the 98-mile Cameron to Superior line from the Chicago & North Western for $5.8 million in an effort to be able to ship the Canadian traffic south to Chicago. After this sale, the Soo Line agreed to sell its line to the WC. Now with two lines to Superior, the WC joined them at Gordon using the ex-cnw line to the north and the ex-Soo line to the south. 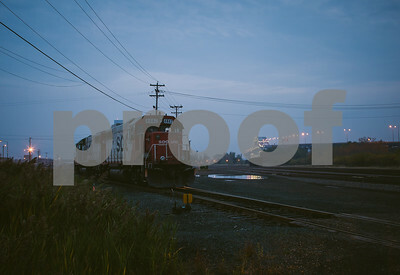 They chose to use the ex-CNW line for the slightly better grade. The ex-Soo right-a-way is now the Wild Rivers Trail and is just out of the frame to the right. The cement bridge abutments are still left standing just beyond the trees in the center of the frame where the Soo once crossed over the CNW. The third unit in this consist is an ex-CNW C40-8 which may have once ran here in either CNW or UP livery. This line is the Union Pacific's only access (with trackage rights) in and out of Superior and their South Itasca yard. CN trains head west just south of South Itasca through Ambridge, Saunders Jct. into CN's ex-DW&P Pokegama yard. No. 4201 - Soo Line - Duluth, Minn.
Soo Line GP30 speeds down the forest lined tracks as it takes passengers east from Duluth along the north shore of Lake Superior. 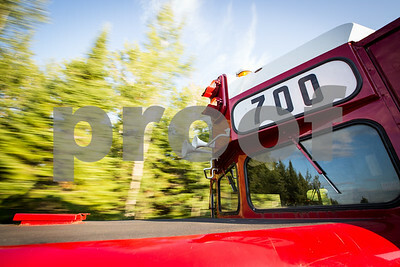 Soo 700 is on Lake Superior Railroad Museum's roster. No. 9178 - Soo Line - Duluth, Minn.
Soo Line yard power sits in Canadian Pacific's nearly empty stub end yard. 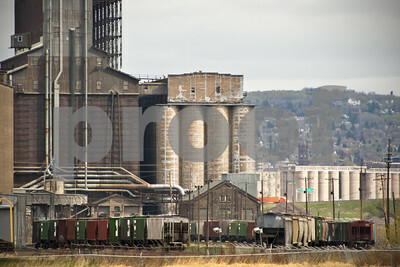 This yard serves mainly the grain elevators in the port. 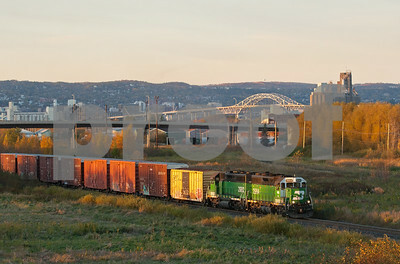 The main yard Canandian Pacific uses is Stinson Yard in Superior. The John A. Blatnik Bridge can be seen which carries Interstate 535 (I-535) and U.S. Highway 53 (US 53) over the Saint Louis Bay that divides Wisconsin and Minnesota. No. 9151 - Illinois Central - Duluth, Minn.
Ex-Illinois Central locomotive 6258 now in Canadian National paint sets out a string of loaded iron ore pellets below the ore docks in Duluth, Minnesota. The power will run light to the office. Great Lakes ship American Victory is being loaded with iron ore as well. DMIR Dock 6 was built in 1918 as a gravity-feed dock. It was the largest dock in the World. In 1965, an adjacent pellet storage area was built: Lakehead Storage Facility now covers nearly 45 acres. 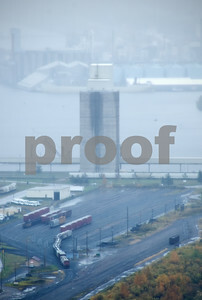 The dock can load up to 10,000 tons per hour of taconite pellets. The dock is 2,438 feet long. 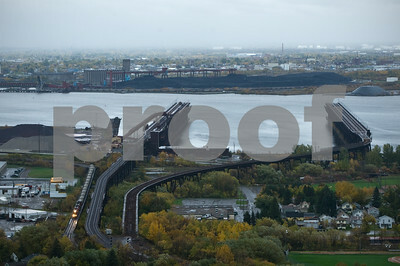 The loaded ships will carry the iron ore to various steel mills along the Great Lakes. No. 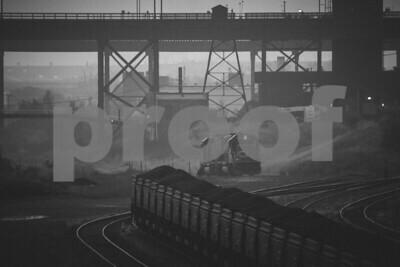 9163 - Illinois Central - Duluth, Minn.
No. 8732 - Duluth Missabe & Iron Range - Proctor, Minn.
Duluth Missabe & Iron Range EMD SD38-2 leads empty taconite ore jennies up the hill and back into Proctor, Minnesota. 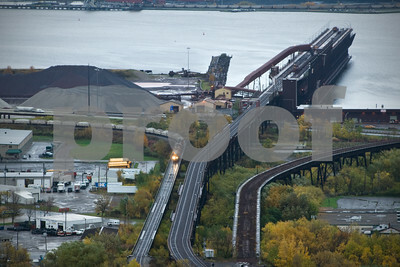 This trip is repeated throughout the day hauling taconite pellets down to the shipping docks in Duluth. 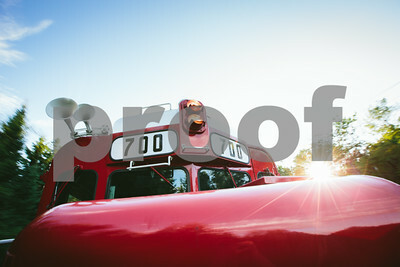 DMIR 211 was renumbered as DMIR 9002 in September 1998 to celebrate the railroad being "ISO 9002" compliant. It wore this number for almost a decade before reverting back to 211. 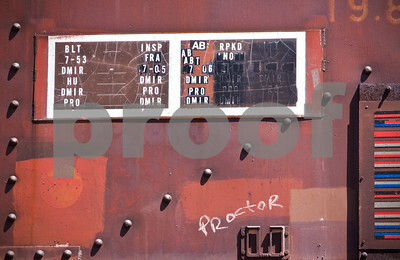 This unit now wears Canadian National paint but still retains DMIR 211. No. 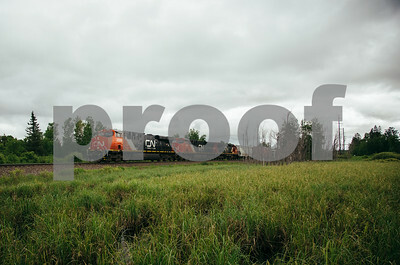 9183 - BNSF Railway - Duluth, Minn. 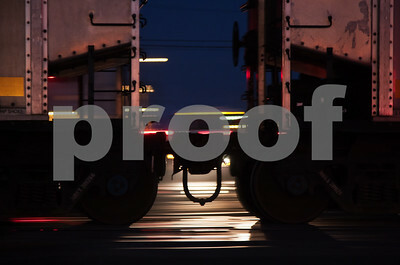 The BNSF night job pulls a long string of cars into the local industries along the port in Duluth for the extra room needed while switching the yard. No. 9134 - Canadian National - Duluth, Minn.
Great Lakes ore hauling ship American Victory sits in the slip and the Canadian National ore dock in Duluth, Minnesota. 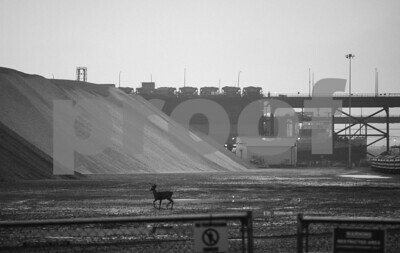 A small buck crosses past the limestone holding area. Soo Line GP30 number 700 sprints through the woods of northern Minnesota just out of Duluth. 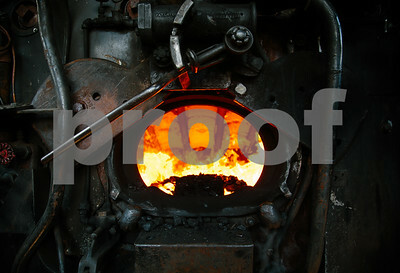 The glowing fire box from Soo Line steam locomotive 2719. 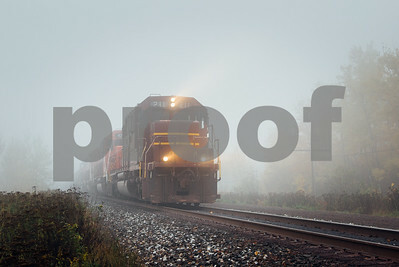 Soo Line 700 does track speed north of Duluth, Minnesota along the north shore of Lake Superior. 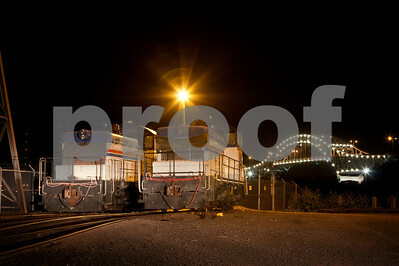 A pair of CHS EMD SW-1s sit at the CHS grain elevator in Superior with the Blatnik Bridge into Duluth as a backdrop. 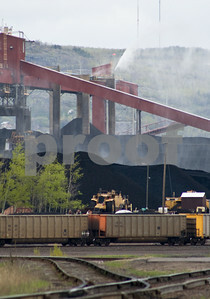 Coal Cars fly by a crossing in Superior, WI. 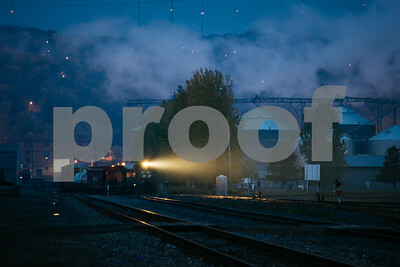 BNSF 2984 and 2982 make their way back to the 28th Street Yard in Superior, WI with the Duluth skyline as a back drop.